15 gallon tank with 6 Gallon Per Day Pump 115 volt. Superior to the suction systems sold by re..
15 Gallon Tank with 6 gallon per day pump 230 volt. Superior to the suction systems sold by re..
15 gallon tank with 24 Gallon Per Day Pump 115 volt. Superior to the suction systems sold by r..
15 gallon tank with 24 Gallon Per Day Pump 230 volt. Superior to the suction systems sold by r..
30 Gallon tank with 12 gallon per day pump. 115 volt. Superior to the suction systems so..
30 Gallon tank with 12 gallon per day pump 230 volt. 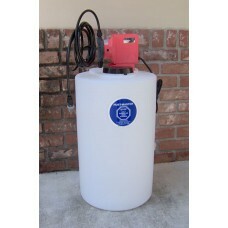 Superior to the suction systems sol..
55 Gallon tank with 12 gallon per day pump 115 volt. Superior to the suction systems sol..
55 Gallon tank with 12 gallon per day pump 230 volt. Superior to the suction systems sol..
100 gallon tank with 24 gallon per day pump 115 volt. Superior to the suction systems so..
100 Gallon tank with a 24 gallon per day pump 230 volt. Superior to the suction systems ..